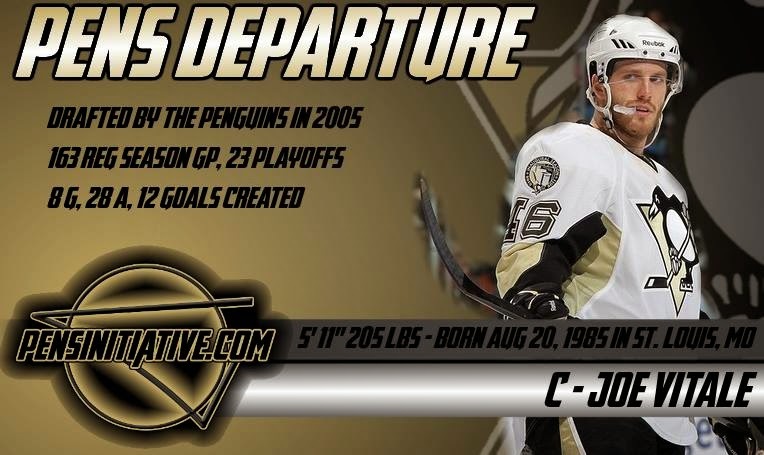 Another free agency domino falls and another once Penguin is now former as Joe Vitale heads to the desert. Taken 195th overall in the 2005 NHL Entry Draft, the 28 year old Vitale was a fan favorite for his ability to constantly do the little things. Whether he did them well was another story, but his hustle and "compete" appealed to the long standing cliche of "blue collar" in a city that prides themselves in being blue collar. The primarily fourth liner in Joe Vitale, someone looked as replaceable as the Penguins attempt to revamp their bottom six lines, heads to the Phoenix Arizona Coyotes for three years at $3 million overall. 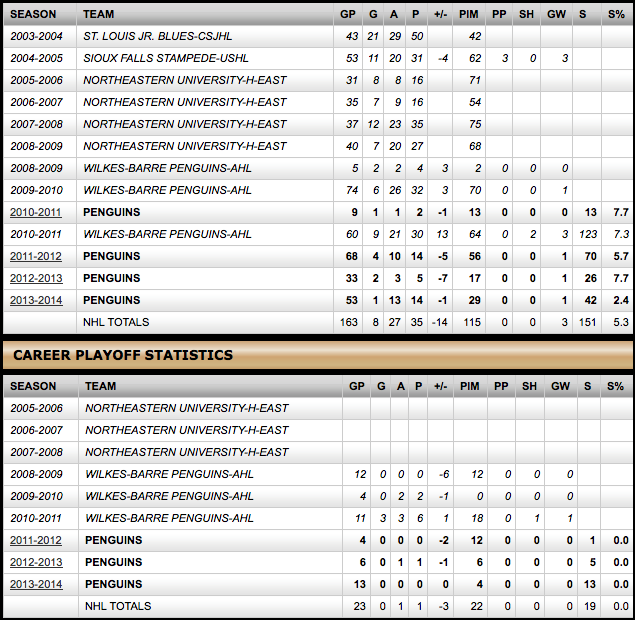 It'll be a big raise over the $575,000 he made in his final season with the Penguins.